Through the years, the lot of women have changed for the better. But despite these many changes, there are still obstacles that women all over the world must face. It could be a chauvinistic boss or catcalling on the street or just the patriarchal system in human society that seems determined to keep women down. Which is why author Mia M. Fujii has set out to create a book that will inspire women all over the world. 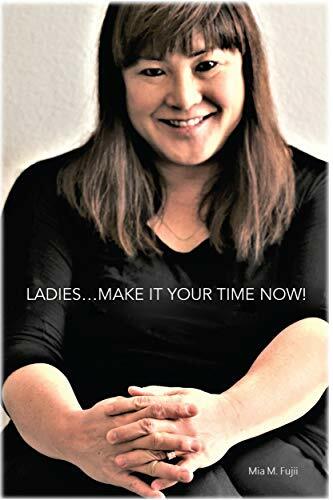 In her new book Ladies….Make It Your Time Now, author Mia M. Fujii addresses the problems that all women face at home and in the workplace. This book is aimed at women who have been searching for answers on how to take full control of their lives. 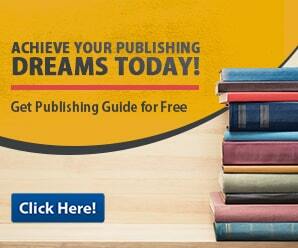 It is for women who want to get noticed or advance in their careers and their personal lives. The author knows full well how difficult it can be to be a woman in the workplace. She knows that you have to work twice as hard to get noticed and promoted. She also knows how difficult it can be to deal with overbearing bosses and the stresses of the workplace. And before she found the key to her own success, she fretted and worried about the success of her own career. But through hard work and introspection, the author was able to find the answers to her fears. And now she wants to share her hard earned knowledge with the world. This book is not an instant fix-it type of book though. It is not an end all solution to women’s problems. Instead, it is a philosophy, a way of thinking that makes women aspire to be truly great. It is more of a guide for women on how to get the best versions of themselves. It is a book that teaches women to go after their dreams and to enjoy the journey as well. The book is well written and contains a lot of heart and is aimed at giving women great advice. The teachings found in this book were inspired by the author’s own challenges and triumphs and gives easy to follow steps in succeeding in life. It includes great tips on how to deal with bosses, fellow employees and clients in the workplace. It also gives readers great advice on how to be a leader and how to juggle work life and personal life successfully. In truth the book is not an instructional book on how to live life. Instead, it is a book that will give women a whole new outlook on life. And through this new perception women will be able to gain more control of their lives. The author’s passion for writing and her wish to help women reach their full potential compelled her to self-publish Ladies… Make it Your Time Now! with BookVenture Publishing and create a book trailer through the company’s book trailer services as a way to spread word of her uplifting message. In truth, self-publishing a book takes a great deal of work, but Mia M. Fujii’s conviction to help other women has compelled her to take the leap. All in all. Ladies… Make it your Time Now! is a truly impressive read that gives women a chance to reach their full potentials.